2. 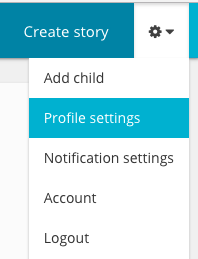 From the drop-down menu select 'Profile settings’. 3. 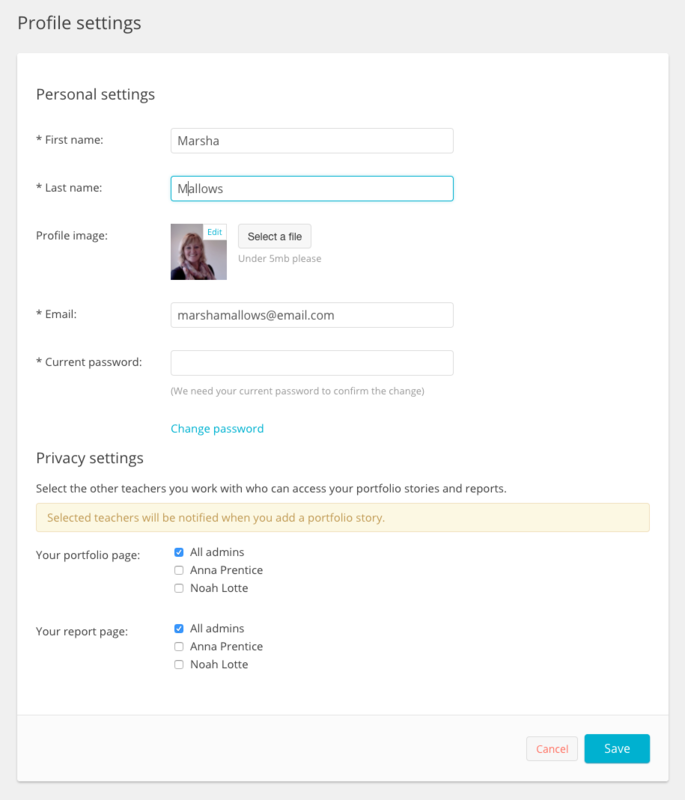 You’ll be taken to a form where you can edit your name, profile image, email and password. If you're a teacher you can also edit your privacy settings. To change your name or email, simply highlight the existing text in the text field and type in the new name or email. To change your password, click the ‘Change password’ link beneath the email field and fill in the form that appears. For security reasons, you need to type your current password first in order to confirm the change. Be sure to choose a new password that is easy for you to remember but hard for somebody else to guess. If you can't remember your password, you can sign out of Storypark and follow the instructions to reset your password.